When thinking about who you are and what makes you tick, a lot of factors are significant. But have you ever thought about how much of your looks are crucial for your personality? How much you are made of your appearance? For example, in what measure do your height, your size or your hair colour determine who you really are? Are hair colours and personalities linked? Off the top of my head, I would have said no. I don't believe that my brunette hair makes me any more special, cool or pretty than any other person. There are a lot of flaws in this way of thinking. Because if brunettes were inherently cooler than blondes, would that mean that all brunettes are equally as cool? Or would different nuances then make differences, too? It's a weird concept to connect hair colours to certain attributes. After all, nobody really picks their behaviour due to their hair colour. Do blondes feel obliged to behave less intelligently, just because the cliché says they are? Certainly not. And are all brunettes boring and the same? Wouldn't think so, either. But somehow, hair colours still seem to influence people. When I was nine years old, my biggest idol was Hermione Granger. I wanted to be just like her, and did my best to adapt her ways into my own. I had my Grandma sew me black cloaks, and I always tried to be bright and intelligent. That she and I share the same hair colour helped me a lot in my efforts. It would have never been so easy to identify myself with her if we hadn't had that basic mutuality. Identification is an important aspect that hair colours can create. Be it a fictional character, celebrity or a friend, it is more natural to emulate someone who has something in common with you. Therefore it helps to shape your personality in young years. Who you imitate, and who you try to be, can definitely stem from such simple similarities. Clichés are easily created around hair colours. Especially if you have a very prominent one, red for example, you will be confronted with them quite often. They are definitely able to influence these people. But I believe that they can do it in two ways. Either, you start to develop in the direction that the cliché sets. The core of a prejudice is often the truth, and if you are referred to it often enough, it may start to apply to you, too. But on the other hand, it can influence you in exactly the opposite way. Upon hearing a certain stereotype often, one can get sick of it and try their best to get away from it. And then, such a cliché does not apply to you at all. I reached the conclusion that our hair colours are part of our personalities. They influence us, in what small a way it might be, and make up a part of who we are. I don't think that a specific hair colour brings specific attributes with it. But I also believe that if I was a different shade, I'd be a different person. Think about it: Would you be exactly the same if your hair colour was something totally new? Take it as a chance to reinvent yourself. When you can change hair colours, why shouldn't you also change aspects of your personality? When it comes to colouring your hair, your possibilities are endless. I recently heard about a hair care company called Madison Reed, who specialize in hair dye. They have re-engineered hair colour, making it a healthier, salon-quality alternative. They created dye that is free of PPD, sulfates, resorcinol, ammonia and gluten! Since you surely don't want to damage your hair too much when colouring it, this alternative might be worth a look. What do you think about this topic? And what hair colour are you sporting for summer? Let me know! Time for some nail art! The nail art design I am showing you here features the Nail Polish Pen from BornPrettyStore in colour #2, black. It is a black pen with a cap, under which the tip lies. It's rather small and very pointy, a good thing for details and fine lines. You have to shake the pen really well, and then press the tip down on a piece of paper. Pump until the product comes out and covers the tip. Then you can start to draw! The nail polish is highly pigmented and you can immediately get a clear and visible line. It's also quite simple to draw with it; it of course requires a steady hand, but it really glides over your nail. The only tiny problem I experienced was that after some drawing, no nail polish would come out, no matter how often I pumped. But when I let it sit for a while, it worked all fine again. Maybe I was pushing it. The colour stays very well, but keep in mind to use a top coat on it! If you don't, your design will eventually wash off. All in all, I'm a huge fan of this nail art pen. It's way easier to handle than regular nail polish, and your possibilities with it are endless. I can definitely recommend it! If you want to get your own nail art pen, be sure to use the code MS10K31 when checking out, so you get 10% off your order! I really like how this design turned out! What do you think about it? Following my Budget Traveller's Guide on Amsterdam, I am now going to share some travel tips on Prague. Prague is the capital of the Czech Republic, and located right in the heart of Europe. Therefore it is within easy reach from most starting points in Europe. How to get there leaves you a couple of choices: plane, train and bus are all available. The cheapest possibility by far is to go by bus. From Munich, there are daily bus lines available. Expressbus, the one we took, takes you there via Regensburg and Pilsen. The ride takes approximately 5 hours, and on board you get free wifi, plugs, coffee and even a film to watch! Be aware that during the weekend the bus can be very crowded. At the full price, a one way ride is 33€, but if you book in advance it can cost as little as 19€. 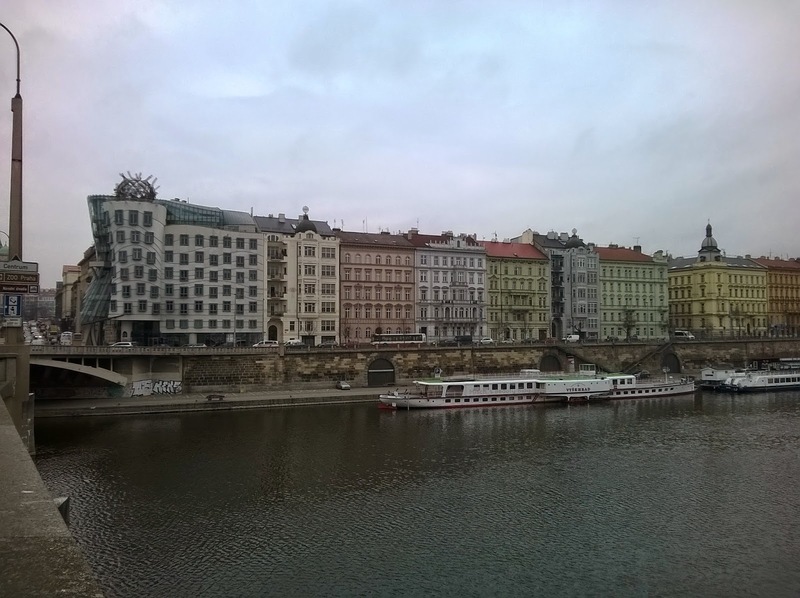 Accommodation in Prague is fairly easy to find. There are lots of cheap hostels available, and you can use Hostelworld.com for your search. We stayed at the Chili Hostel, which is located perfectly central in Praha 1, so everything is in walking distance. In a 8 bed dorm you can sleep for 4-6€ (it's more expensive on the weekend) per night. Unfortunately, our beds were very squeaky and with thin mattresses. It wasn't too bad, but something to keep in mind if you need a good rest. The 2 bathrooms are not ensuite, but have to be shared with 3 other dorms. There is a kitchen at your disposal, as well as wifi, computers and lockers. The staff and atmosphere were alright, even though it could have been a little more personal. All in all, the value for the money is extremely good as it's so inexpensive. 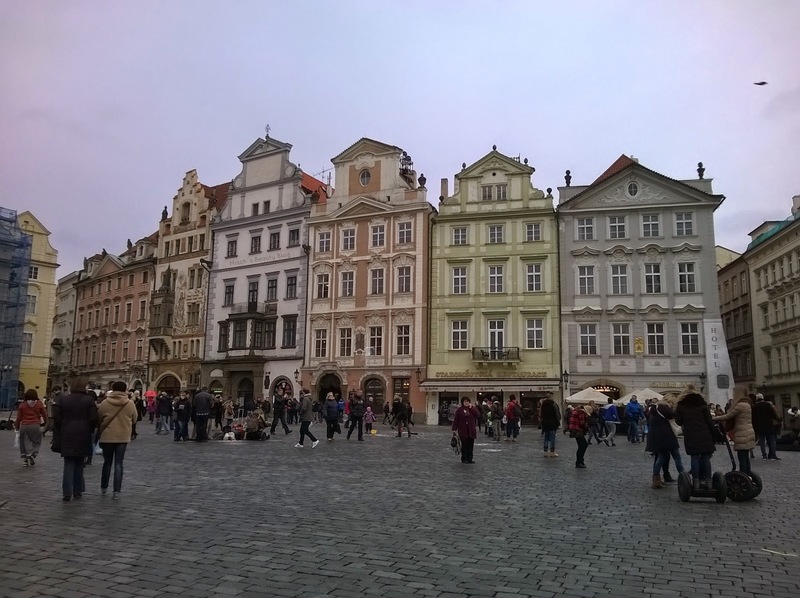 Now, let's talk about what to see and do in Prague! 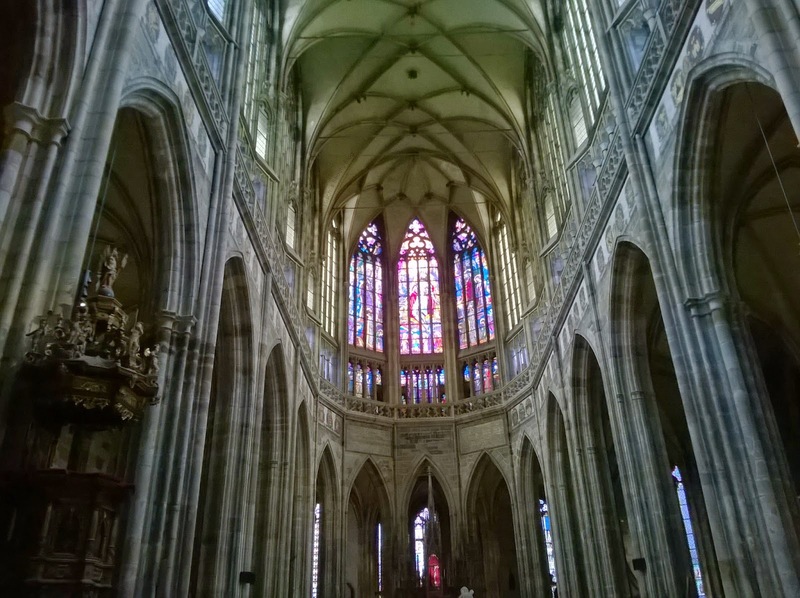 Prague's main attraction lies within its architecture. Both the Old Town District, and that of the castle have the most beautiful houses to see. Ranging from baroque to art nouveau, the houses all come in different styles and make it very hard to pick the prettiest. 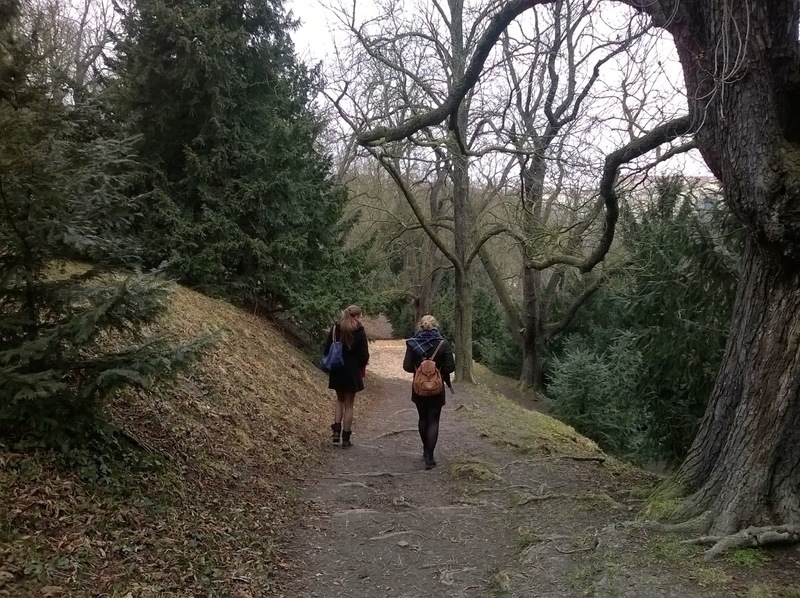 To take in this amazing part of the city, all you have to do is walk and look around - free and easy to do! 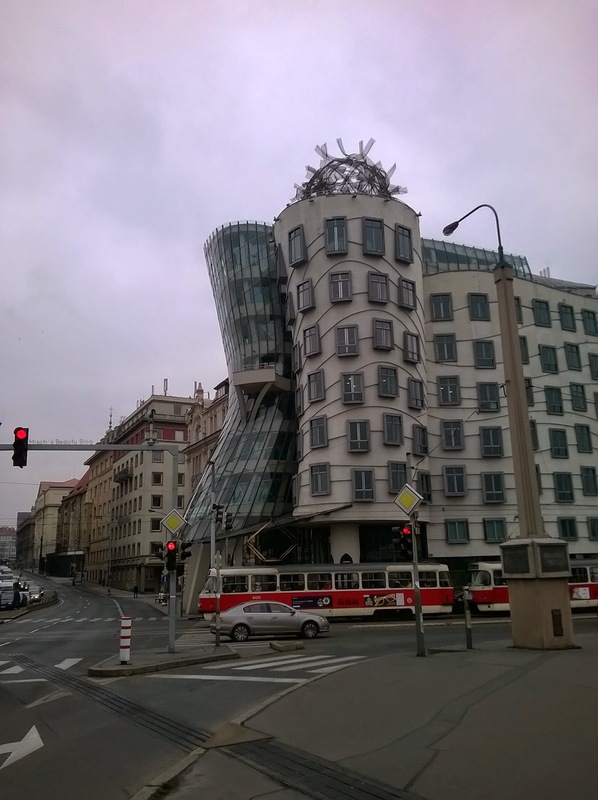 One special part of Prague's architecture is the Dancing House, or, as it's also called, Ginger & Fred. It was design by Frank O. Gehry and Milunic, and portrays a dancing couple, hence the nickname. Its deconstructivistic appearance makes for an interesting turn in the otherwise rather antique façades. Decide for yourself whether you find it fitting, but you can't deny it's something special! 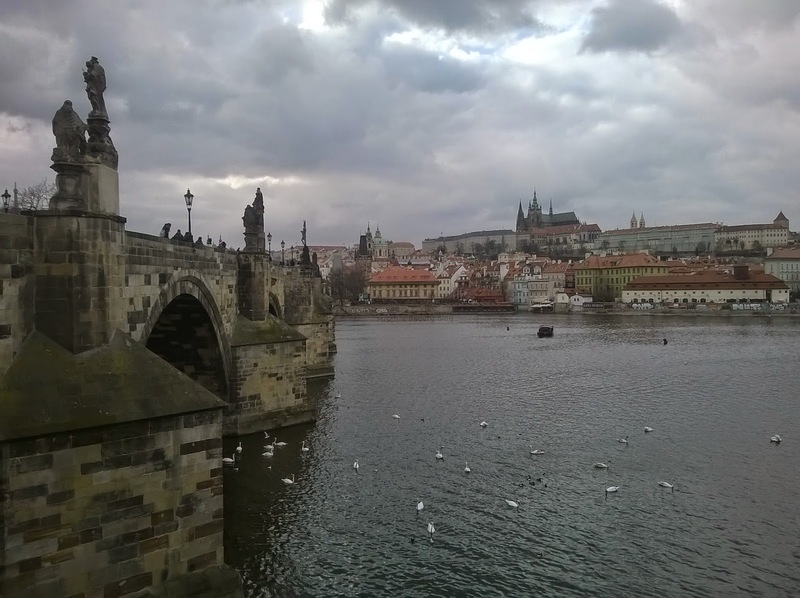 One of Prague's most famous attractions is the Charles Bridge. 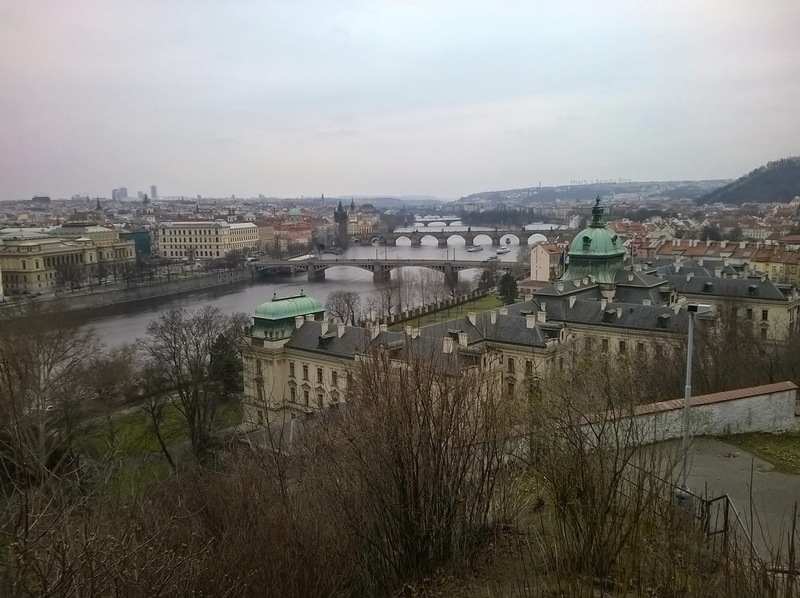 It crosses the Vltava and connects the Old Town District with the Castle District. It is by far not the only bridge in Prague, but the prettiest and most famous. 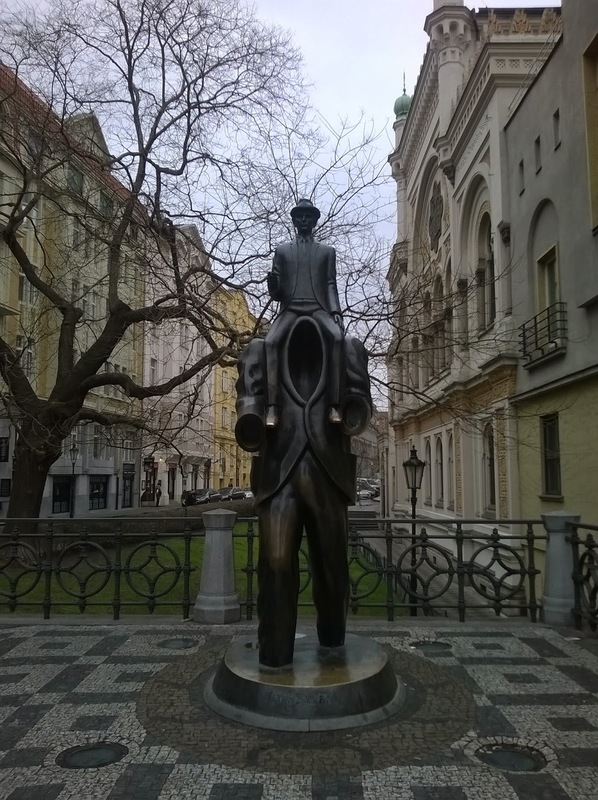 It is framed by huge sculptures on both sides that make it very nice and interesting to cross it. Also, you get a great view over the river and the historic town. Lots of people are always on the bridge, so try to go later at night when there aren't as many tourists. The whole city is located on multiple hills. 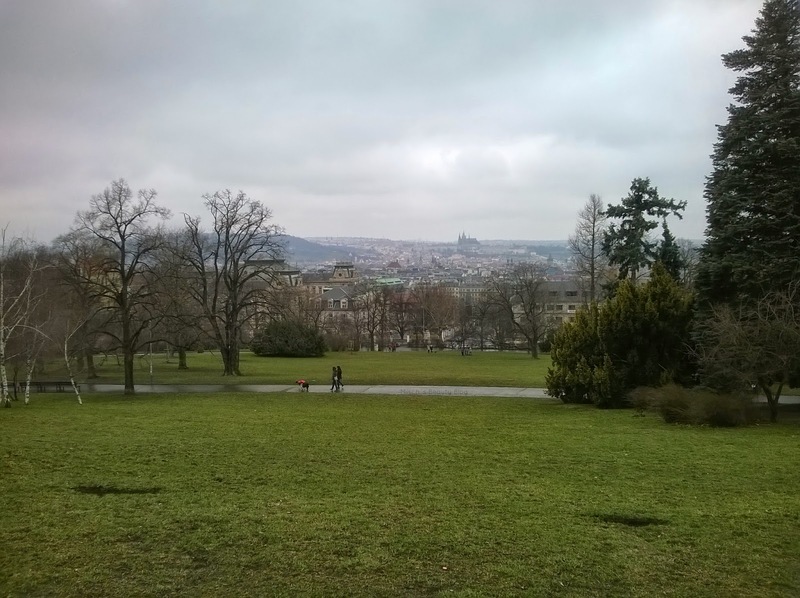 Prague also has lots of parks, and most of them are situated on said hills. That means you have a bit of climbing to do, but the great overviews you get from up there are well worth it. It really looks great when you can look down on it, so I highly recommend you pay some parks a visit. The castle grounds and gardens are also free to visit. You can't go inside the castle without paying admission, but you can roam the area and have a look at everything nonetheless. And those castle grounds are really great to look at! They're very pretty, but somewhat classical and spacious. Keep in mind that the gardens aren't open until April, which was why we unfortunately couldn't see them. If you want to go inside the castle, there are different combination tickets available. Their prices range from 10 to 13€, but if you're a student (or under 26), you can get in for half the price. 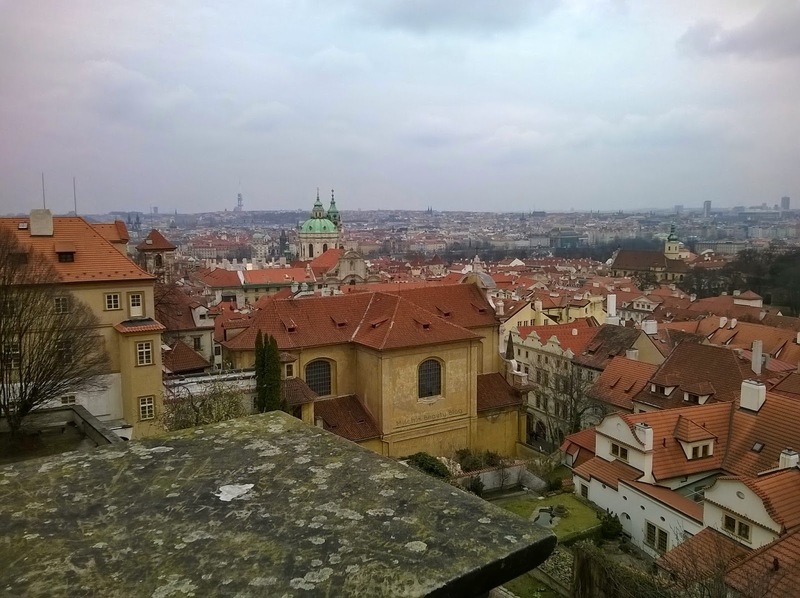 And the tickets do not only include the castle itself, but two amazing churches on the property, and the Golden Lane, where the most famous little houses of Prague are located. Museums are located all over the city, with typical ones like the national gallery, and more specific ones such as the Alfons Mucha Museum. Entrance fees at those places are relatively affordable and normally range from 7 to 12€. 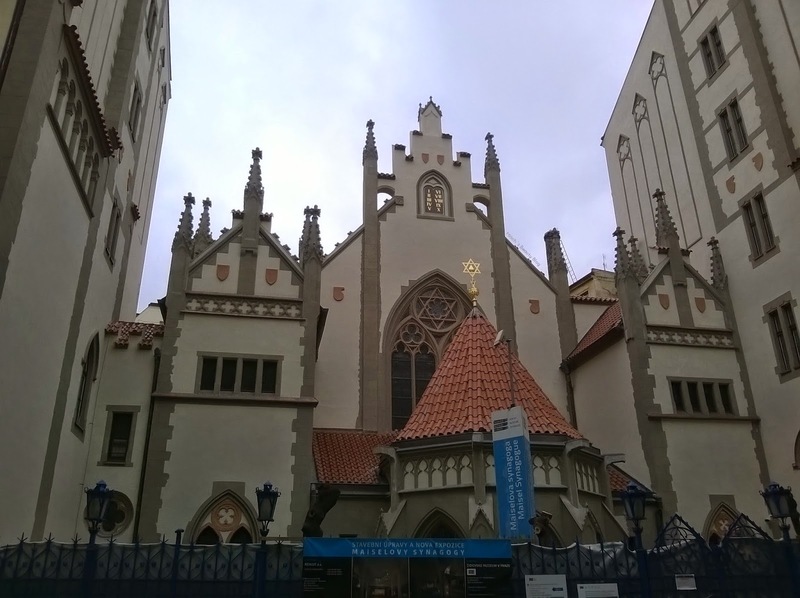 A special aspect is the Jewish Museum. 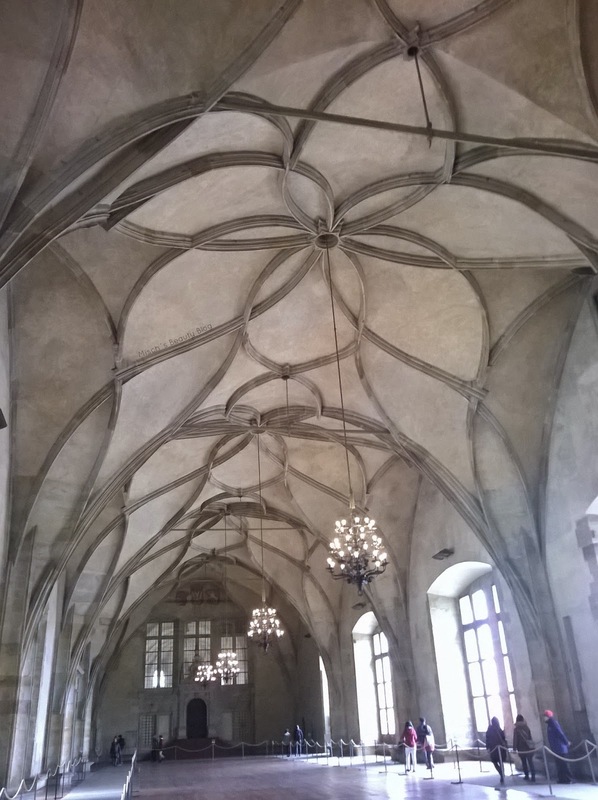 It's admission is quite high with 18€, but it includes the admission to all synagogues and the old Jewish cemetery. If you don't want to pay this fee, you can still have a look at all the synagogues from the outside, which is also what we did. And they are definitely worth a view! 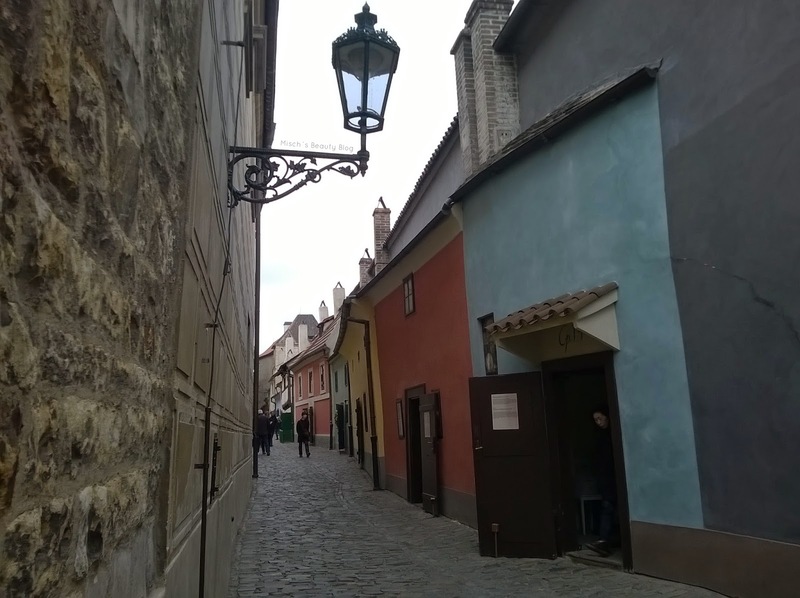 The Jewish Quarter is located in the heart of the old town. The Czech currency is the Czech Koruna, or czk. One czk is approximately 0,03€, and 25czk make 1€. That's why their prices might sound extremely high, but really aren't. 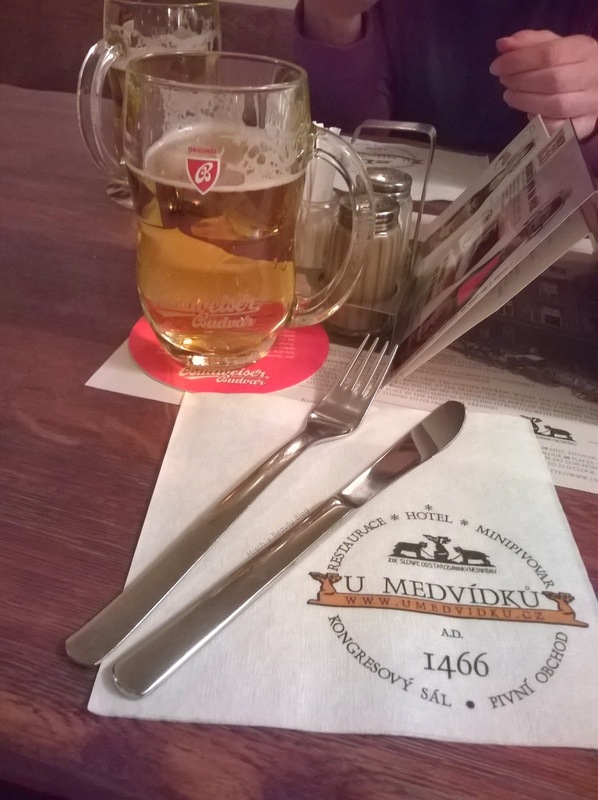 Paying 150czk for a dinner seems to be a lot, but it's just 6€. There are lots of ATMs at your disposal, which give you a great exchange rate wherever you're from. Also, euros are often accepted and converted at an sometimes even slightly better rate. It is advised, though, not to change at unofficial places. 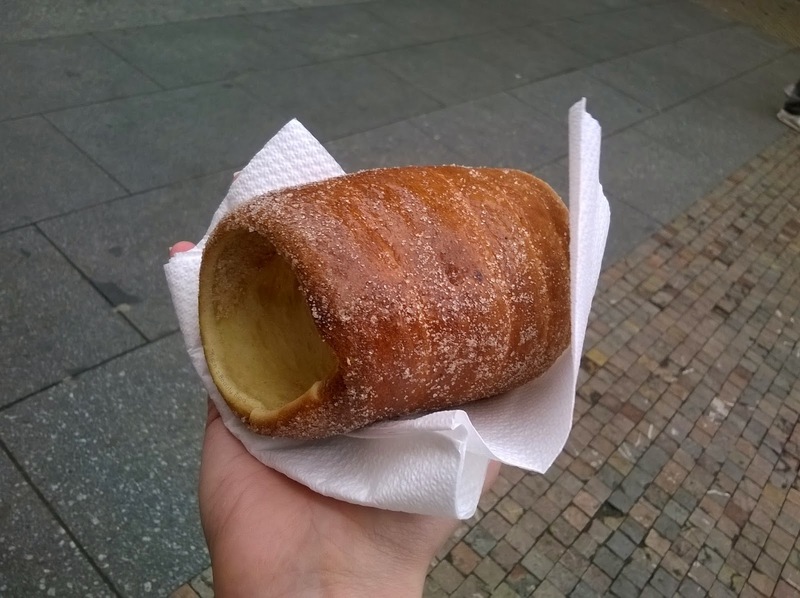 When it comes to food, there are lots of places for you to try traditional Czech cuisine. Its traditional food consists of - not unlike to that of Bavaria - warm and somewhat heavy dishes such as goulash, pork or dumplings of all kinds. And to accompany the Czech food, beer is always a good choice!It might not be something for everyone, but it's definitely worth a try. The place we went to is called u medvíku. It is not only a restaurant, but a hotel and an old beer brewery. It has a very rustic interior, but also comfortable and the food was great. Prices are generally very low for a good meal, at around 5 to 8€. 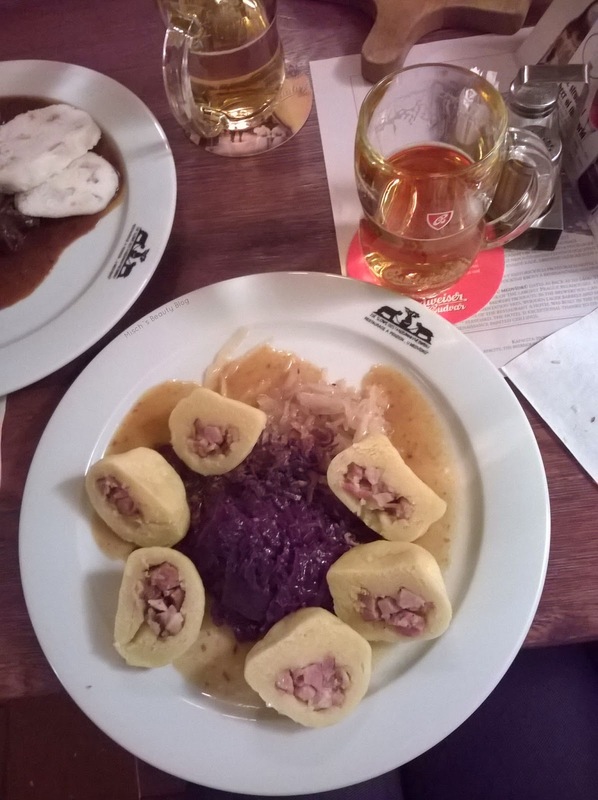 What is shown in the pictures is potato dumplings filled with pork cubes, served with red cabbage and sauerkraut. It was delicious. Also important are the trdelníks. 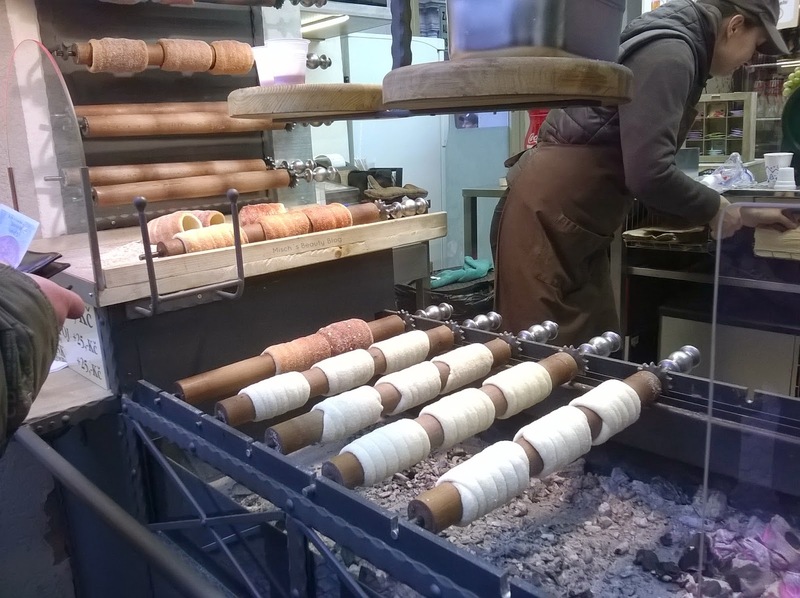 They're sweet pastry rolls that are rolled in sugar and cinnamon. You can get them pretty much everywhere all over the city, and they're very tasty! 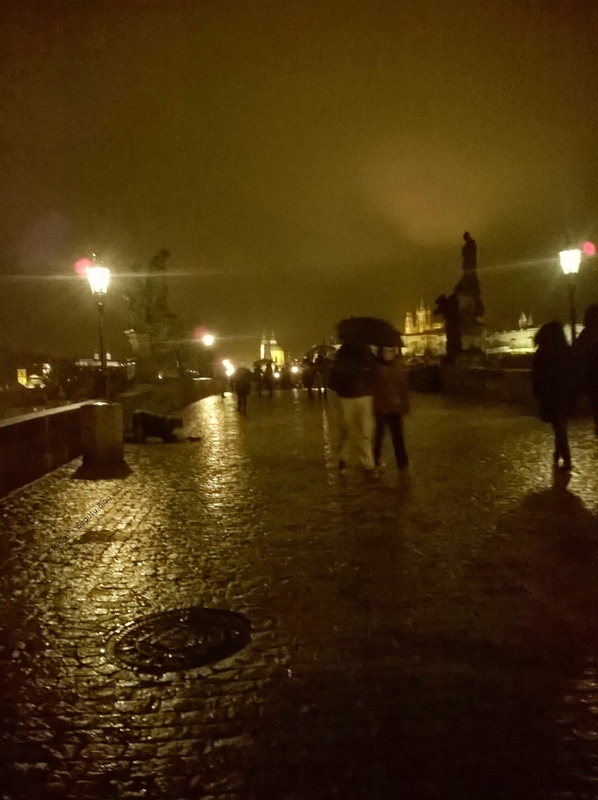 Prague is also well-known for its great nightlife. From pubs to bars to clubs, everything is available. You can party in one of Europe's biggest clubs with 5 floors, or have a pint a bit off the touristic parts. Going out is especially popular because it's very inexpensive. You can already get a pint of beer for as a little as 1€! 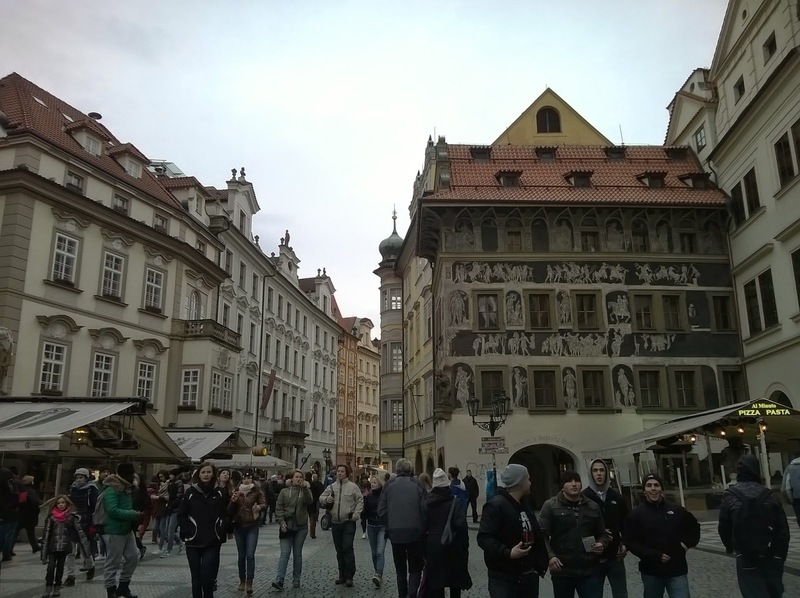 As far as shopping is concerned, Prague offers the same chains other European countries also have. They are mixed with shops from all kinds of countries. You can shop at the British tesco, Costa or Marks&Spencer, the German dm or the Austrian Billa. Groceries are very cheap and therefore a simple meal costs close to nothing if you shop at supermarkets. All these different shops offer a huge variety, but at the same time mean that you're less likely to find typical Czech stores, at least along the main hotspots in the city. In contrast to the cheap supermarket prices, those at clothes chains and the likes are just the same as in any other country. 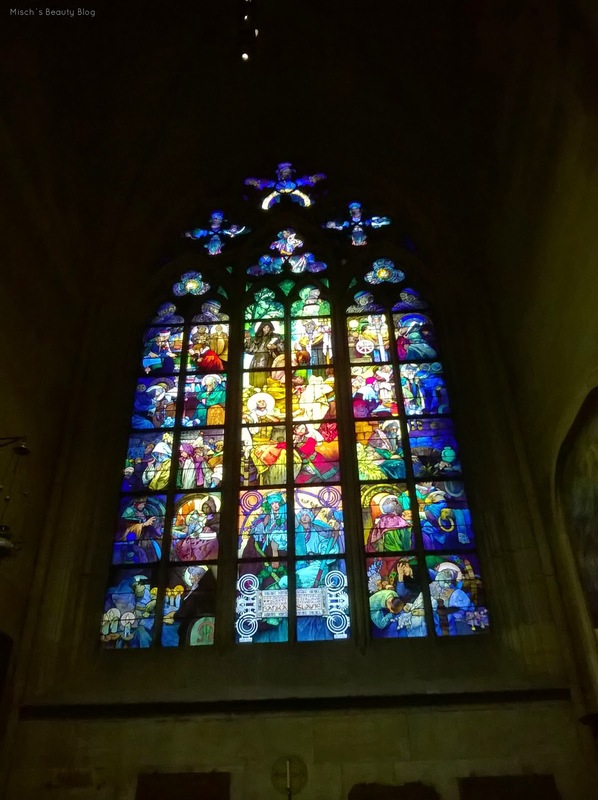 I can highly recommend to visit Prague. It's an amazing city that has lots to offer, and you can already enjoy it just from walking around. 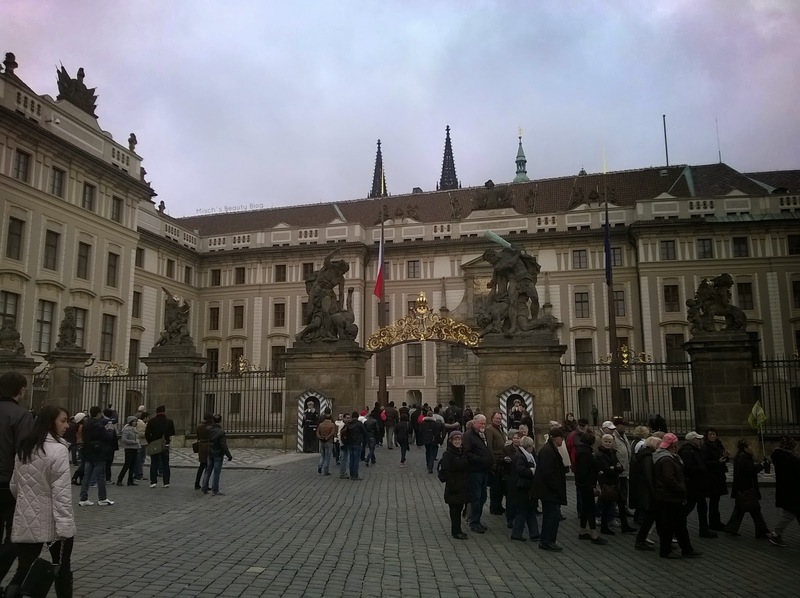 Prague is a very affordable city, which makes it great for all you budget travellers out there. 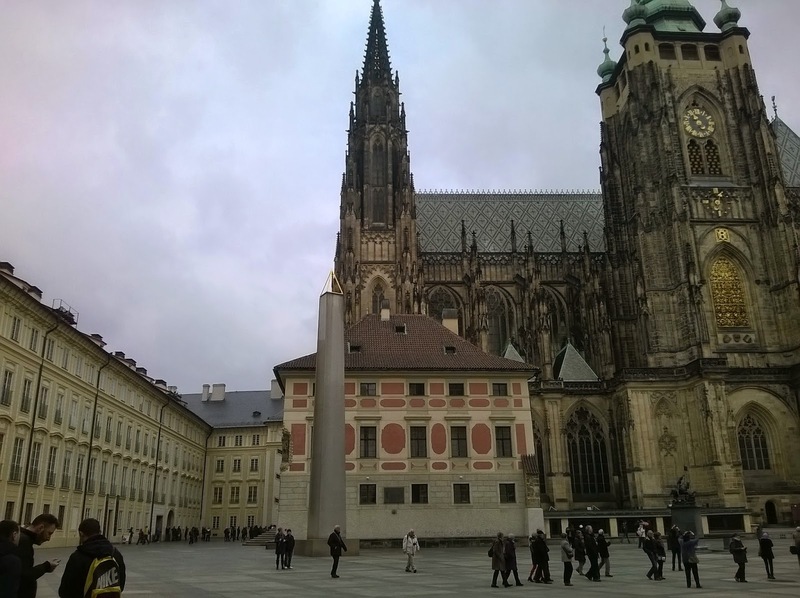 What I would keep in mind is that Prague, or at least its city centre, isn't too big to require a very long stay. Especially if you're mainly looking for free stuff to do, you will run out of things to look at after a couple of days. But that also means that there's no need to hurry to see everything. You can take your time and enjoy your stay! How do you guys like Prague? For today's occasion I did some nail art showing the Irish spirit. So here's lots of green, as well as the Irish flag and shamrocks! It's just a very simple and fun design to celebrate St. Patrick's Day. Nothing difficult to it! What are you wearing today? Any green? In case you're interested in a bit of Ireland-related stuff on here, check out my post on the Cliffs of Moher, Kinsale or Irish beaches! As I promised, more BornPrettyStore stamping nail art coming up! This time I used the Image Plate BP-55, which contains 3 big designs and some more smaller ones. The look I picked out is an abstract turn on different leaves and patterns. I love how detailed it is! For a base I picked Kink by Illamasqua, which has a semi-matte finish and thus gives an interesting turn on the design. The stamping was done in a white stamping polish also from BornPrettyStore. You can see it here in my last post on stamping. With this design, I experienced a tiny bit of trouble when it came to stamping the look onto my nails. It turned out well, but in some cases not all parts of the design would come off the plate and therefore also didn't transfer onto my nail. But with such little lines and details, that can happen. And it didn't happen all the time, otherwise I wouldn't have been able to get the above results. 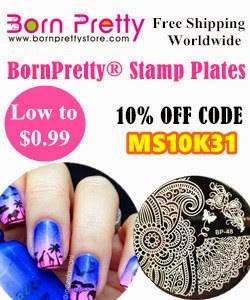 The image plate retails for $2,99 on the BornPrettyStore website. By using the code MS10K31 when checking out, you will get 10% off your order. After all, I really like this design! The colour pops against the dark green background, and it makes for an exciting look! I read The Goldfinch by Donna Tartt, which won the Pulitzer Prize for fiction in 2014. The story is about Theo Decker, who is 13 years old at the beginning of the story. He lives in New York City with his mother, and the two share a very close bond. When she is killed in an explosion in a museum they both visit, Theo survives and in his confusion takes with him a painting of a goldfinch that was torn down during the explosion. During the next time, Theo's life is determined by his sorrow and grief for the loss of his mother. As his father left his family years ago, Theo goes to live with the rich family of his best friend. Simultaneously he becomes friends with an owner of a antiques store, whose partner was also killed in the attack. But when he finally adjusts to this new life, his father comes to pick him up. He is now forced to come to Las Vegas and stay with him and his new girlfriend. These new surroundings change Theo a lot. Being under no parental control or care, he has to learn how to take care of himself. Together with his new friend Boris, he isn't exactly doing a great job, getting into drugs and theft. All the while he takes great care of his 'stolen' painting and hides it well, even though the possession does not make him feel at ease. At some point, he decides he has to go back to New York. Becoming an adult makes him face all kinds of challenges and ultimately, he gets into trouble and criminal activities due to 'his' painting. Essentially, The Goldfinch tells a big part of Theo's life, and it is all narrated from his point of view in the first person. The grief for his mother and the mixed feelings the painting causes him are what make his story so different and special. It's never boring, even though not positive at all. Often he realizes he doesn't know what he's doing or why he is doing certain things. These moments, and different kinds of setbacks, make for lots of negative experiences. Still, the main story, the actions and events that is, are not exactly extraordinary. The odds that things like these happen to a person are small, especially those concerning the painting. But there's still something to the story that makes it all seem very plausible, and in some cases not too exciting. I found that for example during the events in Las Vegas, it felt a little stretched. Theo's character is mainly shaped by what happens to him so early on, and how he can or can't deal with it. That makes him a variable protagonist and his actions not predictable. But not only his character is an unprecedented individual, but all the other ones are definitely special. His companions are far from normal; not one of them is one-dimensional or simple. They all have their traits and peculiarities, which makes them likeable and interesting. There's one thing that makes this book utterly interesting and a must read: the way everything is described. The author has a great talent for telling everything in its smallest detail, but still not making it seem overdone. Theo's way of perceiving the world is so fascinating that no matter what sentence you read, you can see and feel every detail. That's why even when the plot of the story in some parts lacks suspense, it is never bad or boring. The writing is so good that you will love reading it. I really enjoyed this book. As I said, the writing makes for such a special and different reading experience. It is a long story, and a lot to take in, so I'd have never been able to finish it in one go. But you always want to read on and find out what happens next and how everything evolves. Has anyone of you read this book? How did you like it?